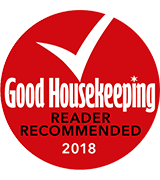 Taking boilers from basements into kitchens in the 1920s, through to introducing pioneering high-efficiency technologies, we continually deliver reliable products designed with our customers in mind. 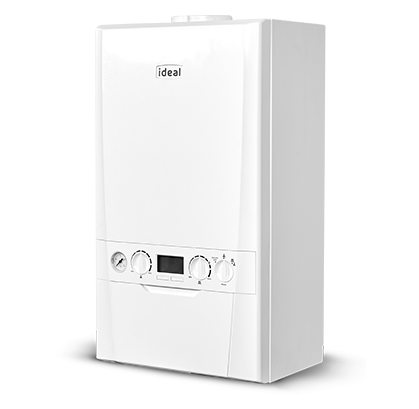 Today, Ideal remains at the forefront of the domestic and commercial heating markets, leading the industry in setting new standards and challenging technological boundaries. Our company remains true to its founding principles of quality, innovation and value – building on its rich heritage as we look to the future. 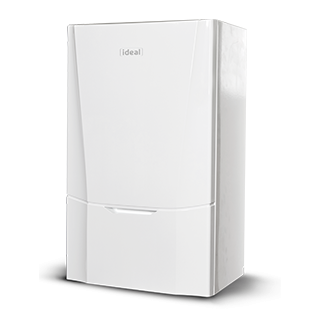 Ideal Boilers will be the number one choice for installers and consumers when selecting a new boiler in the UK domestic market. 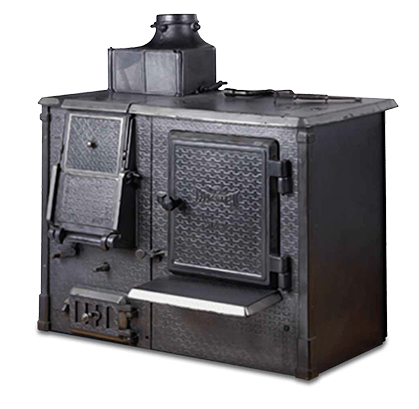 One of the first British boilers was the Ideal Cookanheat. This was a revolutionary designed, freestanding stove that combined an open fire, central heating boiler, cooking oven and hot cupboard all in one unit. 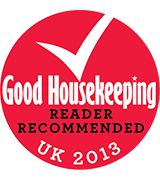 The Ideal Cookanheat did more to introduce central heating into lower cost homes than any other similar appliance. 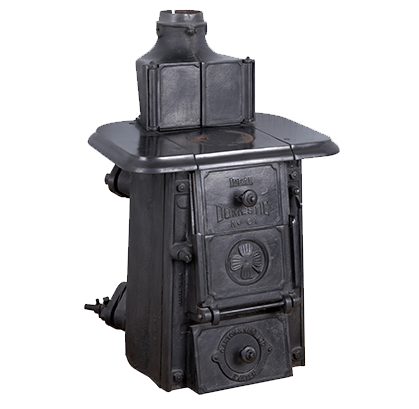 The 'O Series' was another early boiler whose main purpose was to provide enough hot water supply for the homeowner. Later versions provided a choice of matte colour: grey, green or brown. An additional extra was to have a cream enamelled front platework, with top plate, smokehood and baseplate enamelled black. The No. 3 produced a direct hot water supply and was a significant development upon earlier models, as it contained a gas relay control valve and thermostat complete with chromium-plated copper tube connections. 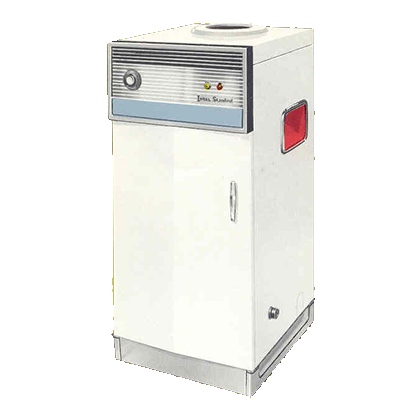 This model also contained a heat indicator and could be supplied with a jacket of white vitreous enamelled to special order. The Autocrat boiler was a compact boiler that was 'assembled ready for installation'. It contained a 'Thermostatic Control', supplied as standard with the boiler and operated by a small control knob positioned on the right-hand side of the front panel. Later models allowed the homeowner to choose between a black and cream or black and white vitreous enamel. A rocking grate was also standard on later models, whereas on early models it was 'frequently available with'. 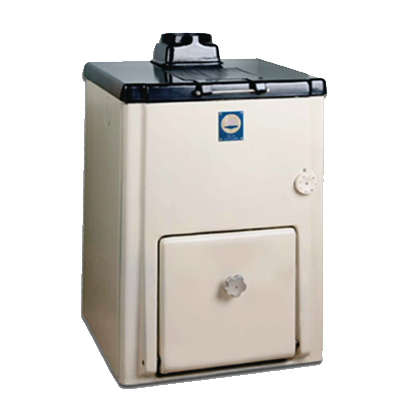 The Elite boiler was designed for the larger home and was available in five sizes. 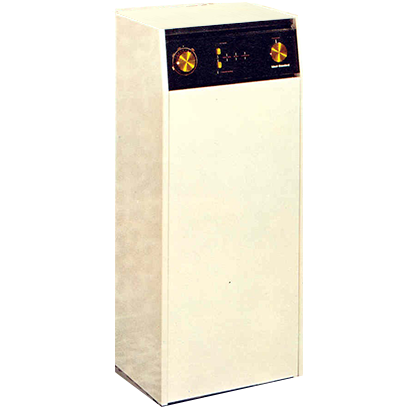 For its relatively high capacity, the Elite gas boiler was compact, and, for its time fit perfectly inside a house. This model contained an electrical control box, an industry first, giving the homeowner fully automatic operation for their convenience and economy. The 1970's saw the Concord become one of the best-selling and award-winning models of the time. Even today it is synonymous with quality, reliability and excellence in engineering. This boiler was built to fit into a space between standard kitchen units with programming and controls that were the most advanced ever in the heating industry. 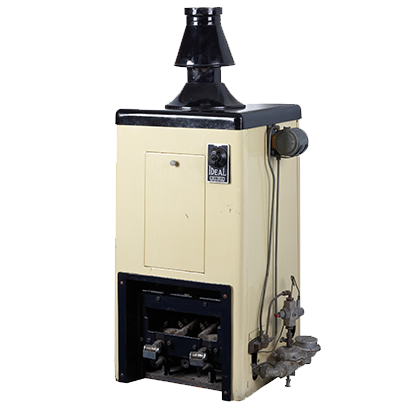 The Sprint boilers was a fan-assisted gas combination boiler. 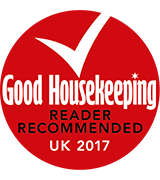 The controls were more advanced than ever before, allowing homeowners to choose a combination of functions that provided warmth and hot water all year round. This boiler managed to overcome flues of varying resistance, which meant it was effective in a wide range of applications that might otherwise prove difficult. The original Classic was launched in 1991, and the Classic SE (model depicted) was launched in 2001, and was an upgrade of the original Classic. 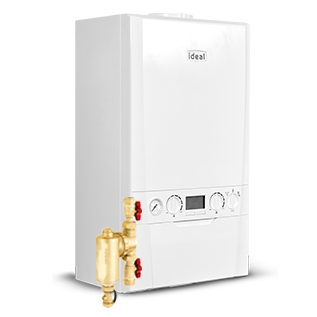 The Classic SE is a tried and tested boiler which offers unprecedented standards of reliability due to its simple design and engineering. 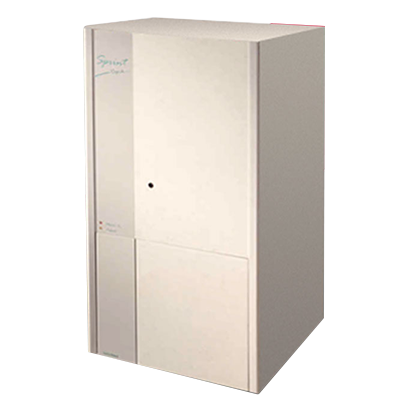 It is the only wall-hung cast iron boiler with an RS offering. From April 2005, with new regulations enforced, HE boilers replaced SE boilers. Launched in 2009, the Logic Range boasts high performance, over 90% efficient boilers that guarantees quality, reliability and exceptional value. 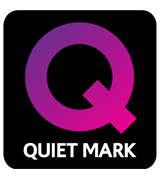 Our Quiet Mark and Good Housekeeping award winning Logic+ boilers offer state-of-the-art technology in a practical, compact unit that fits easily into any standard kitchen cupboard. Showcasing boiler innovation, the Vogue Boiler range utilises modern technology combined with premium parts and components for the next step in domestic heating intelligence. With a stainless-steel heat exchanger, 3.5” colour screen and engineered with quality in mind the Vogue range delivers premium performance and reliability. By pairing the Ideal System Filter with our award winning Logic+ range the Logic Max offers a 10 year parts and labour warranty straight out of the box. Keeping the compact design with state-of-the-art technology the Logic Max range offers high performance and high efficiency in a cupboard fit unit. 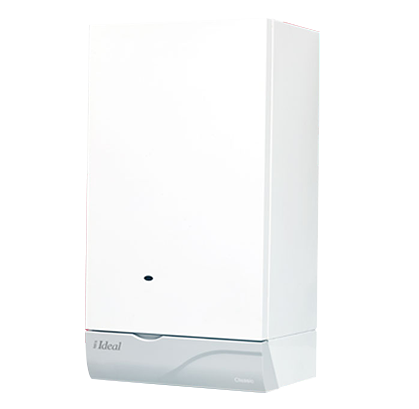 Building on the success of the Vogue Gen 2 the Vogue Max comes with the Ideal System Filter in the box giving greater protection of the boiler and central heating system. 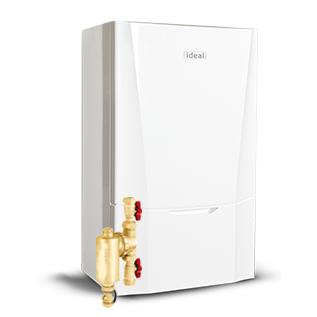 Combining two premium products from Ideal gives a market leading warranty of 12 years showing Ideals commitment to quality, reliability and customer satisfaction.